Hello, and welcome to The Rob Burgess Show. I am, of course, your host, Rob Burgess. On this, our 13th episode, our guest is Martin Shkreli. Yes, that Martin Shkreli. Shkreli, a former hedge fund manager and Turing Pharmaceuticals CEO, became internationally infamous in October 2015 when he purchased Daraprim, a drug used to treat toxoplasmosis. There is a good chance you already host toxoplasmosis, especially if you have a cat, but you may never know it. Only children, pregnant mothers and those with weakened immune systems are at risk for developing symptoms. But for those who do, the symptoms can be severe, even fatal. The medication used to treat patients, pyrimethamine, has been available since 1953. 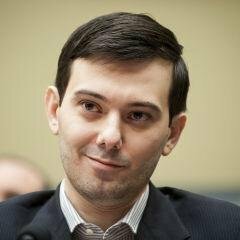 Shkreli inspired indignation when he upped the price of the drug by over 5,000 percent from $13.50 per pill to $750. Then, in December 2015, he was arrested by the FBI on securities fraud charges. He is currently out on bail. On Feb. 4, Shkreli testified before the Committee on Oversight and Government Reform of the U.S. House of Representatives. The album you heard mentioned in another story entirely. Starting in 2008, rap group the Wu-Tang Clan spent five years recording an album only one person, one who couldn't legally profit from until 2103. In May 2015, Shkreli was the winner of an auction for "Once Upon a Time in Shaolin," paying $2 million. Here's Wu-Tang Clan leader The RZA being interviewed by Jan. 6, by Bloomberg, who broke the story in December 2015. Later in January, Wu-Tang Clan member Ghostface Killah was asked about Shkreli by TMZ. He responded by calling him a shithead. A few days later, TMZ published a video response from Shkreli, who, stemless wine glass in hand, had three masked men placed behind him. During his Feb. 3 appearance on Power 105.1's “The Breakfast Club,” Shkreli added fuel to the fire. A few days later, Ghostface Killah issued a video response that doubled as a promotion for his CBD oil, Wu Goo. So, here's how I happened to speak with Shkreli. On May 27, Shkreli tweeted the following: “I haven't been called by the Trump camp. I support him vs. Hillary. He should find a VP candidate who is seasoned in politics, an ugly game.” The same day, Colin Daileda of Mashable published an article titled: “America's most hated man endorses its most hated presidential candidate.” On May 28, Shkreli published his phone number, 646-217-2783, on Twitter and asked people who hate him to call him to prove Daileda were wrong. From there, Shkreli and I tweeted back and forth and I dialed his number on a phone without a redial button I knew of for more than 30 minutes. Finally, I got through. And, now, my conversation with Martin Shkreli. Let me be clear: I have loved the Wu-Tang Clan since I was college, and Ghostface Killah is one of the best rappers ever. And, I'll admit to a healthy case of schadenfreude when I saw Shkreli being hauled away in handcuffs, and having to explain himself to Congress. But, whatever you think of Shrkeli, give him credit for doing what he didn't have to do. He didn't have to put his phone number on social media during a time which he would be available. (Also, if everyone else I'm interested in talking to could just go ahead and do that, this show would be so much easier to book.) He didn't have to agree to be recorded for this podcast. He could have just as easily declined. He didn't have to answer every question I put to him without hesitation. He didn't have to talk for almost 10 minutes. So, Martin, if you're listening, you're welcome back any time. I had so many more questions we didn't even have time to get to. But, if nothing else ever comes of this, I can always say I got more of Shkreli than the House of Representatives did, right? I want to thank Josh Sigler and Brandon Chapman of the Sounding Off w/Chap & Sig podcast for the shout outs on their last two episodes. If you're into unfiltered sports talk, I highly suggest checking them out on on Facebook, Twitter, SoundCloud and iTunes. 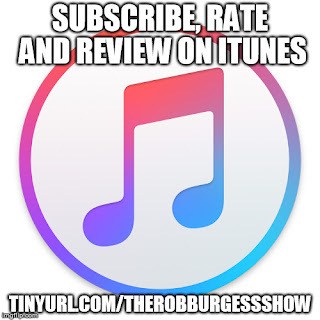 You can help The Rob Burgess Show reach a wider audience by rating, reviewing and subscribing to the podcast on iTunes at tinyurl.com/therobburgessshow. Google Play Music at tinyurl.com/therobburgessshowgoogleplay. You can also subscribe directly to the RSS feed at tinyurl.com/therobburgessshowrss. Like the page on Facebook at facebook.com/therobburgessshow. And, until next time, thanks for listening.